All-Butter Pie Crust. Adapted from Smitten Kitchen. Notes. You can make this dough either by using a pastry cutter by hand or a food processor, but it's harder to overwork the pie dough when using... Preparation. Cut the butter into 1/2-inch cubes. Dump the flour, sugar, and salt into the bowl of a stand mixer fitted with the paddle attachment (or in a large bowl, if mixing the dough by hand). 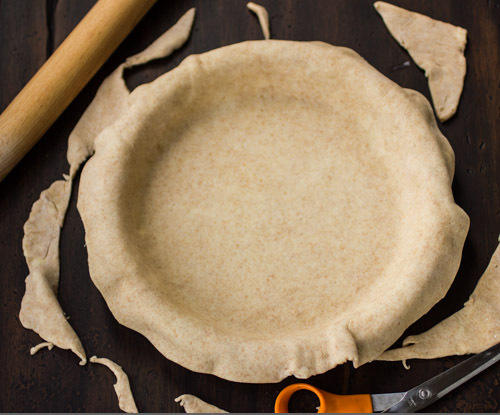 Easiest pie crust ever! Rolls out like a dream and is flaky & buttery when cooked. I use a food processor, it's the best way to mix the dough without over working it.